Presenting documents in another country often necessitates supplying a translation. 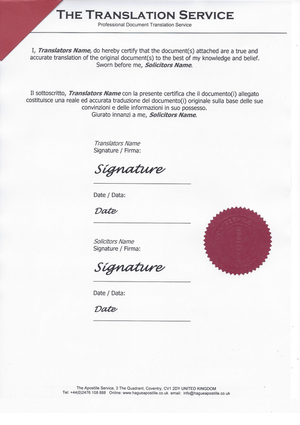 Our fully inclusive service will ensure your document is translated, certified and legalised. If you need your documents to be translated and legalised you can simply email the documents to us. 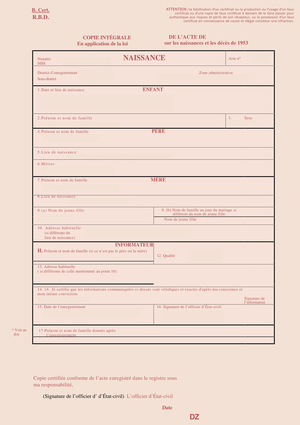 We will review the documents and revert back to you with a quote as soon as possible. Most orders are completed within 3 working days. We take pride in the high standard of our translations. For every document we translate we will use a native speaker who has an understanding of the subject matter to ensure the meaning and context of the source document is conveyed accurately in the translation. Document will be professionally translated. Document will be legally certified. 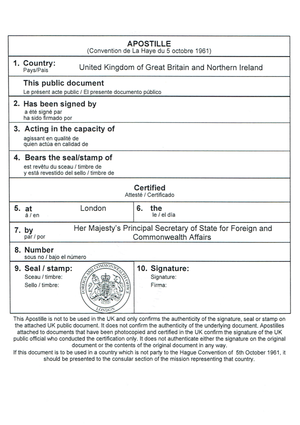 Document legalised with the Apostille. Choose a secure return delivery to your door.